I slice and dump vacuum-packed bags of raw chickeninto a waist-high aluminum drum—a kind of barrelon its side—gut the plastic flavor pack, squeeze it inand wash with water from the swan's-neck tap whatever'sleft of both bags then splash that in there, too. I shutthe hatch, spin the squeaky drum, chant 1 3 5 bingobango bongo fifteen times and slap the side when it's done.Kyle's propped the receiving door open. He's smoking.The snowy wind blows the smoke back in. AfterI've spun the drum and the seasoning has become inextricable from chicken skin, I give it one lastrotation, aim the hatch at the wheels, roll the catchingcart into position and pull the sticky, ringed pin. Imaginedisemboweling an aluminum pony: all the raw, wetnoises unraveling. Cold air slides across the floorlike a cast spell and Kyle's stopped even tryingto blow his smoke out the door. I'm only sixteenbut when I drop the pieces of dead bird into the batter boxI understand it's not much bigger than the boxesthese poor birds lived their short lives in. Still, I coat the slipperychicken in just enough flavored dust, pick ten pieces for a mealtoss them into a rectangular wire basket the size of a bread panand lower it into one of the four dirty fryers that Kylewas supposed to clean. They lean against the wall behind ussmoking like they're on break. In the middle of what becomesmy last shift, I slam a bottle of Robitussin and within minutesI can't even stand. I push my foot through the floor and watch itin the basement knock the white buckets around, down by wherewe keep the huge American flags washed and folded. You should goKyle says. But I don't want to. Even as he bows by the back doorand I'm sucked into the street, even out here where everythingis sparkling snow—and not the falling kind but the finer stuffthe wind pulls from empty parking lots or apartment rooftops—I don't feel like leaving. I'm not bothered by the bouldermy mind's become, rolling down the hills I'm trying to climb. Copyright © 2018 by Ryan Vine. 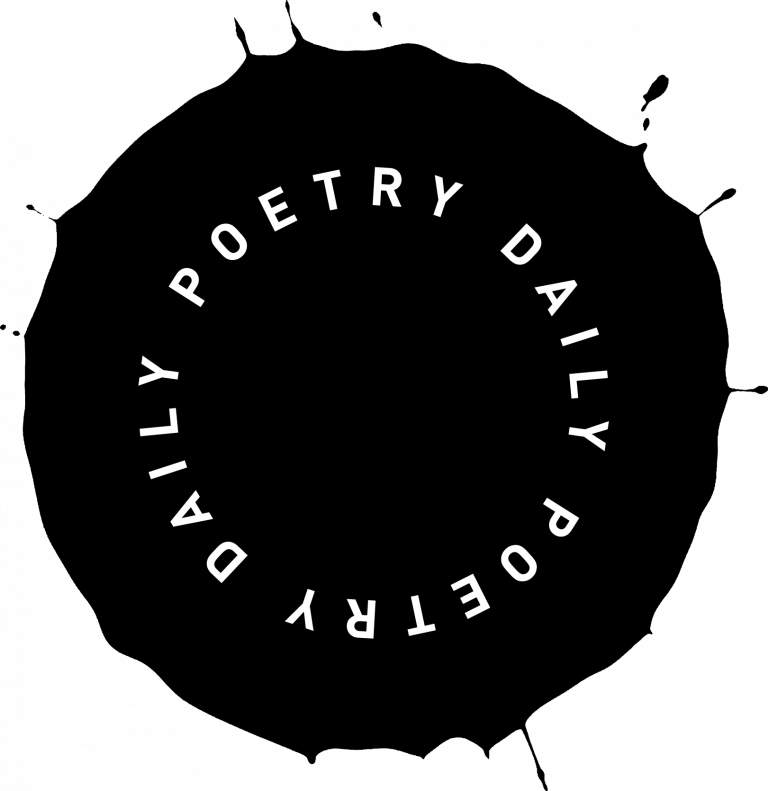 Reproduced by Poetry Daily with permission. 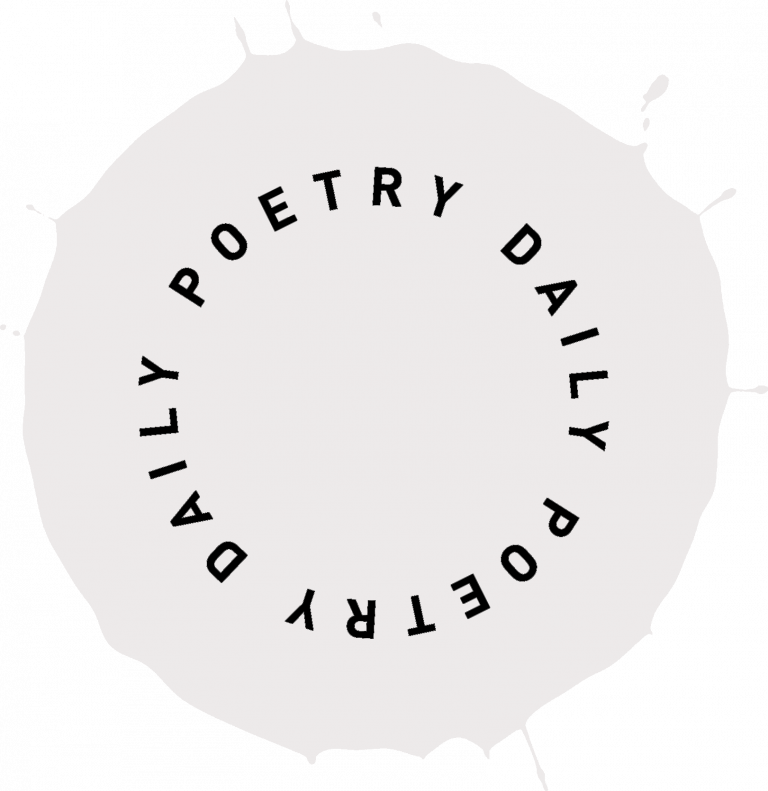 Ryan Vine’s poems have appeared in The American Poetry Review, Ploughshares, Poetry Ireland Review, Verse Daily,and on National Public Radio. His chapbook, Distant Engines(Backwaters Press, 2006), won a Weldon Kees Award and spent time on the Poetry Foundation’s contemporary bestseller list. 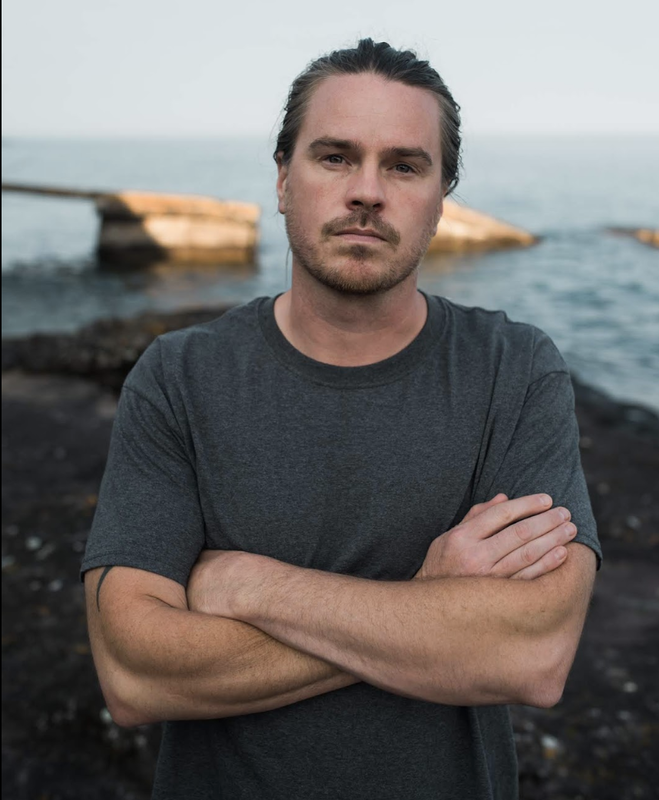 He has received the Greensboro Review‘s Robert Watson Poetry Prize, McKnight/ARAC Career Development Grants, and an Artist Initiative Grant from the Minnesota State Arts Board. Ryan is associate professor, the Rose Warner Professor and Chair of the English Department at the College of St. Scholastica in Duluth, MN. "Reading To Keep Him Hidden is like watching a man tear himself free from a thick wrap of tangled vines. Working-class machismo plus alcohol plus Catholicism have woven a spirit-killing trap that our protagonist has to escape, by way of courage and imagination. 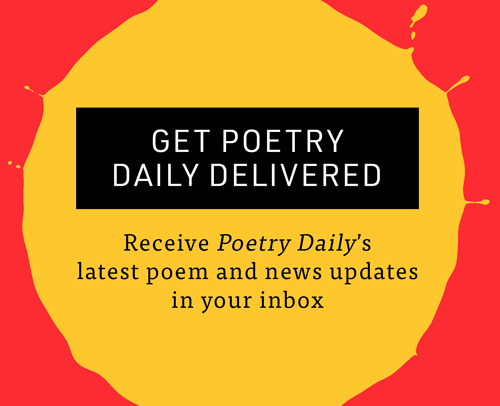 The poems convey the stress of outgrowing one’s origins without betraying them. It’s a drama that Ryan Vine explores without sentimentalizing and without self-vaunting: not an easy feat. Vine hits notes of bleak elegy like those in the best dark songs by Bruce Springsteen." 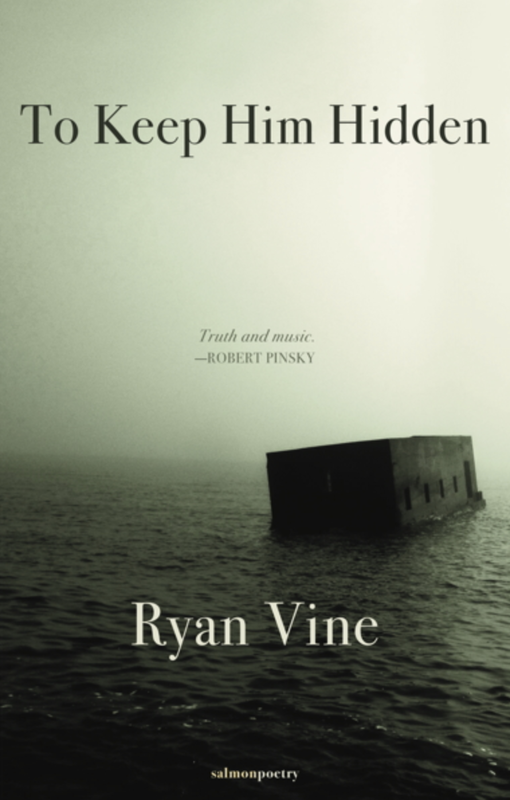 "Ryan Vine has given us a book of hard-won poems. These are painful and dark encounters, sometimes unrelenting in their probing of human descent. And yet, even in this deep darkness some kind of hope emerges. Perhaps that is the work of true art. Certainly it is the exalted work of the human spirit. But I think this book, wisely and beautifully, combines the endeavors of the spirit with the endeavors of art. The result is arresting. Here, pain is replaced with compassion, and grief is restored by love. And faith is involved, even if it comes with uncertainty. But that is the nature of poetry, and this is a book full of it." "The poems in To Keep Him Hidden struggle with a boyhood awash in desperation, friends who didn’t survive, the disillusionment of an entire generation (not to mention the self), and still learn how to live—not in vain, but freely and generously with compassion for the past and hope for the future. These are simply wonderful, memorable poems which will break your heart then mend it." "To Keep Him Hidden delves into masculine disappointment amid the bleak beauties of the blue-collar upper Midwest in economic decline. Ryan Vine’s world of absent fathers and aimless sons sounds bleak, too, but it is not. It’s a whole and vibrant world brought to life and lit brightly by the poet’s piercing intelligence, compassionate wit, and buoyant insinuating voice." 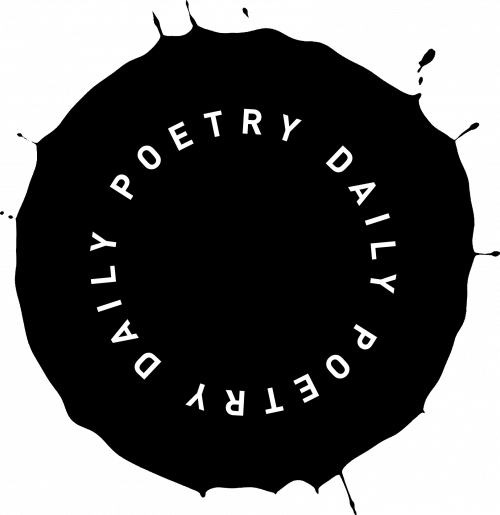 We depend more than ever on individual contributions to keep us in service to you and to poetry from year to year. Your support is crucial to our continuing.